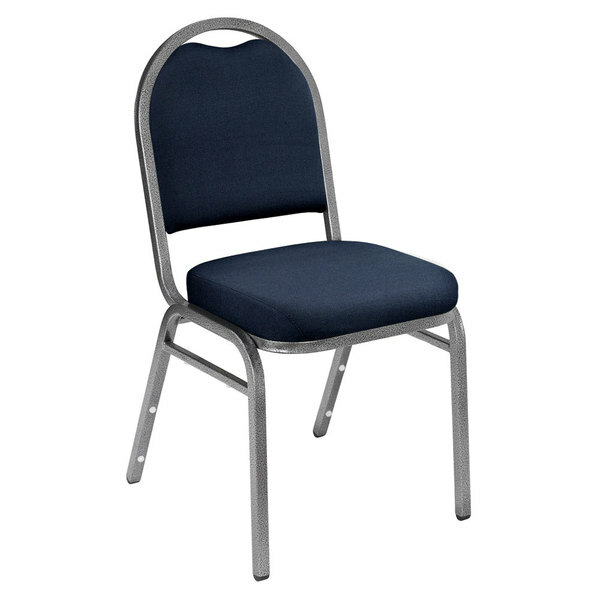 This National Public Seating 9254-SV dome style stack chair is a great way to add seating into multipurpose banquet halls and convention centers! 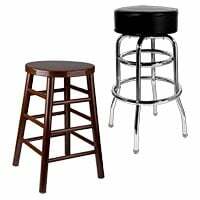 The frame is constructed of sturdy 18 gauge, 7/8" square steel tubing with underseat and H-braces, finished in a sleek silvervein color. 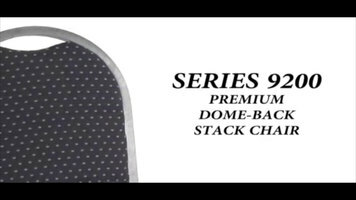 For maximum comfort, the seat is made of 2" thick high-density Grade A foam padding and upholstered in an attractive midnight blue fabric. Cal-117 rated.